It was a basketball season to remember for Florida State. The Seminoles enjoyed numerous new records en route to a second straight Sweet 16. FSU’s season came to an end on Thursday night with a 72-58 loss to Gonzaga, the West Region’s top seed, in the Sweet 16 of the NCAA Tournament. 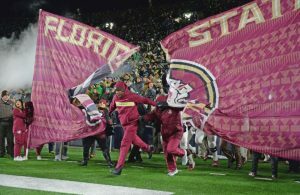 Overall however, the Seminoles’ season had so many memorable moments that one piece was not enough to look back on those moments. Nov. 6 was Election Night, but there was a contest that evening that all of those around the state capitol could feel good about and it took place at the Donald L. Tucker Center. 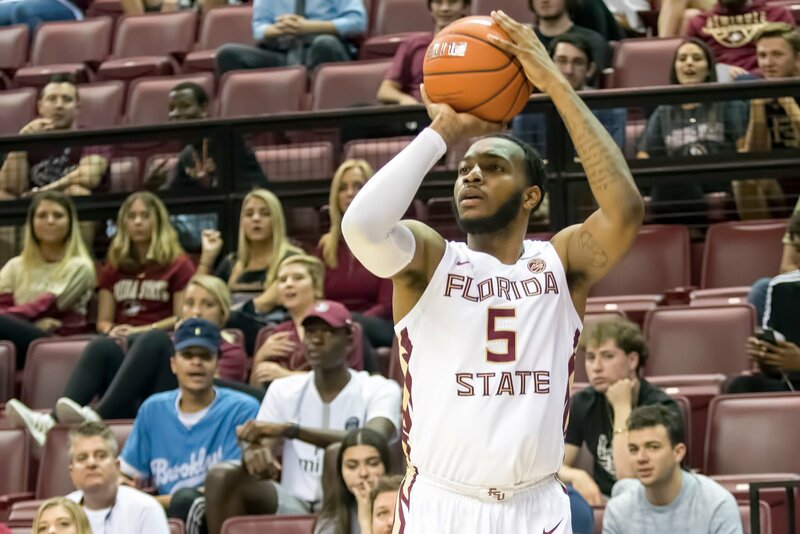 Florida State opened the 2018-19 campaign with a 21-point beatdown of rival Florida — its school-record fifth straight win over the Gators. The Seminoles led by 11 at the break and by as many as 35 in the second half before cruising to victory. P.J. Savoy began his senior season with a team-high 20 points while shooting 5-for-7 from deep. Trent Forrest added 13 points and five rebounds while M.J. Walker chipped in with 10 points. 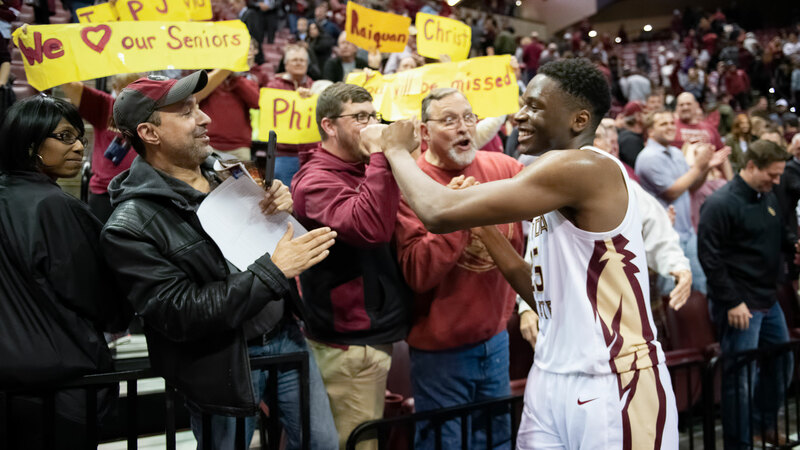 Senior slasher Terance Mann’s contributions to Florida State won’t be forgotten any time soon, but the 6-foot-7 senior put himself in elite company in Newark, New Jersey in early December. In a contest where Mann had to change jerseys after a tear to his No. 14, the New England native became just the 47th player in program history to eclipse 1,000 points for his career. Wearing a nameless No. 41, Mann accomplished the feat with a team-high 20 points on 7-for-13 shooting to go with nine rebounds in a 79-71 FSU victory over Connecticut. Things weren’t looking great for Florida State late in a contest between top-25 teams on Feb. 9 in Tallahassee. Against 16th-ranked Louisville, FSU trailed by 10 midway through the second half and by four with less than 90 seconds to play. Mfiondu Kabengele managed to cut that lead in half with a putback jam with 1:19 to play before M.J. Walker tied the game with a steal and layup under the Louisville basket seven seconds later. The Cardinals went back in front with a pair of free throws from Christen Cunningham in the final minute before Trent Forrest answered with a basket on drive to the rim to force overtime. 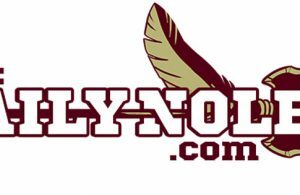 FSU scored the first eight points in overtime and held on after Louisville’s Ryan McMahon missed the tying 3-pointer with less than 10 seconds to play. Walker grabbed the rebound and knocked down a pair of free throws to ice the game. 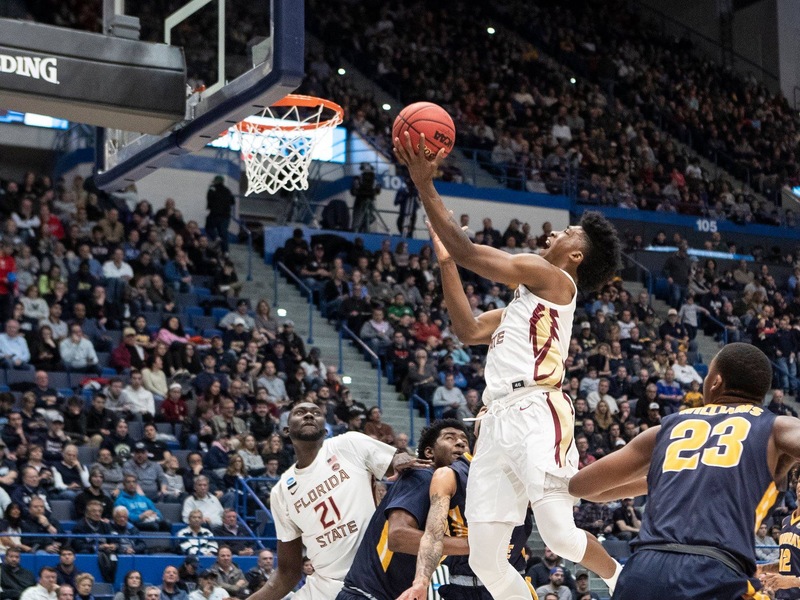 Only once in FSU’s history had the Seminoles made consecutive Sweet 16s, but that changed last weekend with a 28-point beatdown of Murray State and star guard Ja Morant in Hartford. The Racers lived up to their name by racing to a 14-7 lead, but the Seminoles responded with a 25-9 run and never looked back. FSU held Murray State to 33 percent shooting from the field while shooting 51 percent on the other end and a respectable 11-for-27 from distance. Morant led all scorers with 28 points, but a balanced effort by the Seminoles was too much to overcome. Mfiondu Kabengele led FSU with 22 points on 10-for-12 shooting and seven rebounds. Terance Mann added 18 points and eight boards. RaiQuan Gray, who was starting in place of injured Phil Cofer, scored 11 points and snatched five steals. 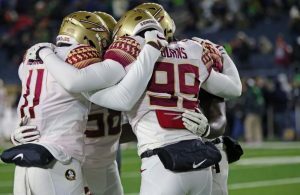 Cofer’s presence weighed heavily on FSU players’ minds as it was learned the game prior that his father, Michael Cofer, had passed away. A double-bye in the ACC Tournament was on the line on Senior Night in Tallahassee as FSU faced Virginia Tech in a match-up of top-20 basketball teams, but early on, it looked like it would be the Hokies’ night of celebration. Virginia Tech held FSU to a season-low 19 points in the first half and took a 14-point lead into the locker room. In the second half however, the Seminoles wasted little time getting back into it. FSU opened the second half on a 26-8 run and never trailed again in regulation. Virginia Tech’s Ahmed Black was able to hit a 3-pointer in the waning seconds to force overtime. 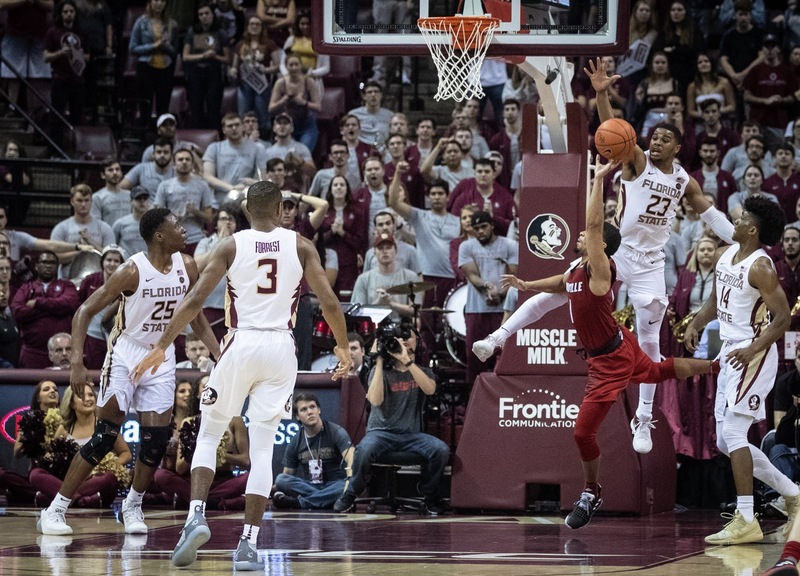 After a layup by Phil Cofer in the extra period gave FSU the lead, M.J. Walker delivered the dagger with a contested 3-pointer as the shot clock wound down with just over a minute to play. FSU outscored the Hokies 12-3 in the extra period. Mfiondu Kabengele led the Seminoles with 17 points and nine rebounds in the victory.